Slop Press website launch party at Walrus boutique featuring Roaming Dragon, Re-Up BBQ, Bear Flag Wines, Benton Brothers Fine Cheese, and Hasensborg Chocolates on January 20, 2011. 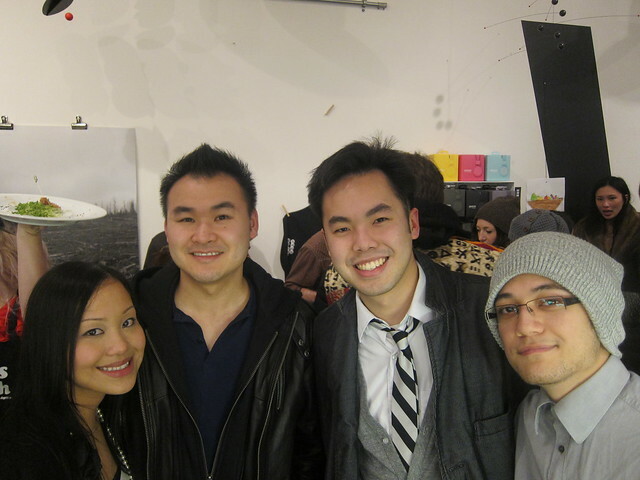 The parental unit of Vancouver Slop, Slop Press, had its website launch at Walrus gallery. 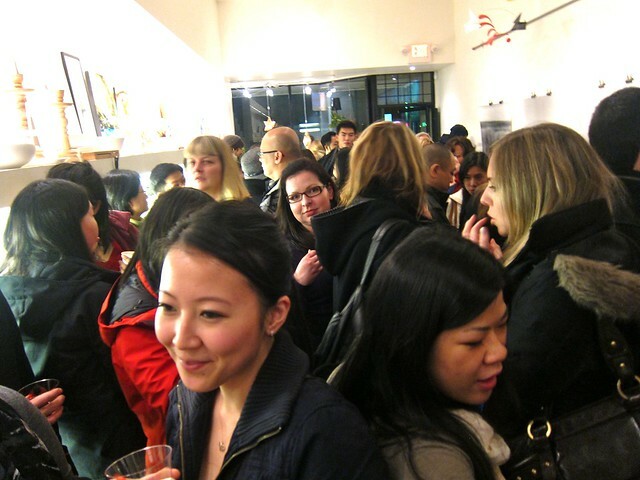 The place was jam-packed full of tweeps, artists, hipsters, and Vancouverites in general including Colene, Sophia Cheng, Roger Lam, Dennis Pang, May C., Karra Barron, and Gio Levy. I am not sure how wise the choice of such a small venue was as this event was beyond popular. It was extremely difficult to move around. However, I commend the staff on the great service. 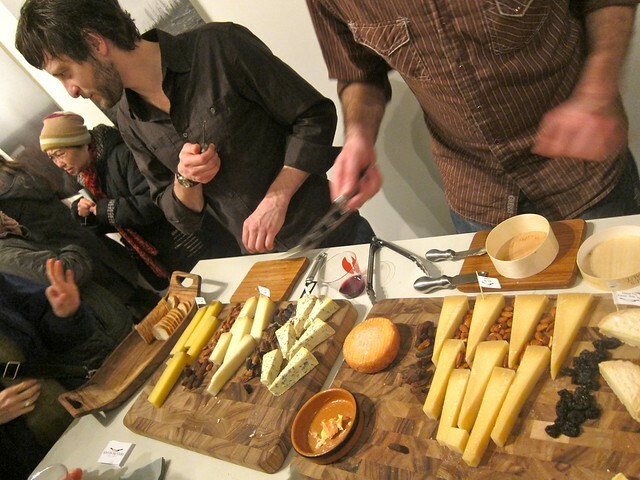 The food by Roaming Dragon, Re-Up BBQ, Benson Brother Cheese, and Bear Flag Wines was great. They kept making the food all night and the wine was flowing through out. Everywhere I turned was a familiar face from online and IRL. 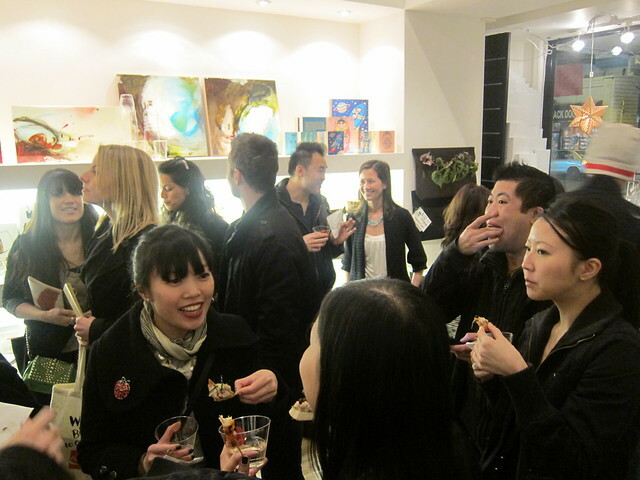 The evening was full chatter and scrumptious appetizers. 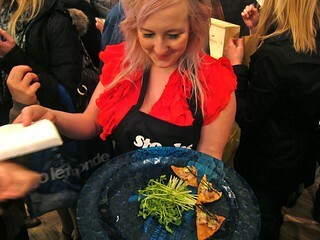 I felt bad for the servers trying to make sure everyone got a sample, but I had to pounce when I saw anything tasty. 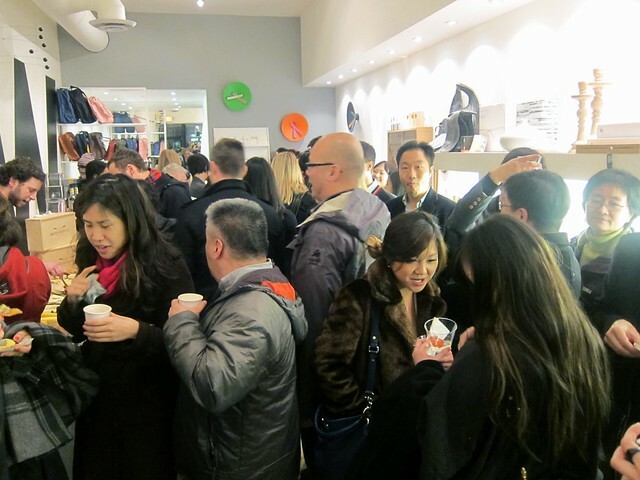 Despite the drawbacks and big crowd, it was a fun night of friendly faces. I finally got to meet fashion blogger extraordinaires Nicole Soon of Le Mode du Jour and Lisa Wong aka Solo Lisa. 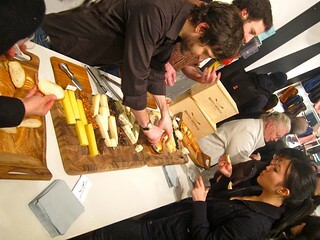 The cheese assortment from Benton Brothers Fine Cheese was superb. The servers were friendly and accommodating in the cramped venue with friendly smiles and warm comments. 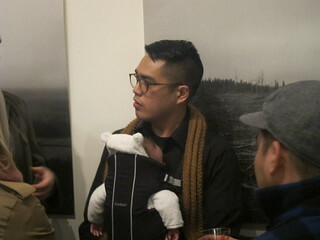 I love the photo of the hip artist guy with his baby. I think it encapsulated the evening of hip culture and professionalism nicely. It got pretty warm and crowded but it was a blast. It is hard to blame an event for being popular and for good reason. I'm confused. Is Sloppress an Asian only food blog, or is their main demographic Asian. I don't understand why they would want to narrow their market. Seems very exclusionary and somewhat racist to me. Um, no. What gives you that impression? I'm not sure why you think it's only Asian. Awesome post Rick! It was great to finally meet you! Extraordinaire? Oh I don't know about that, but thank you! Lol. I love the photos that you took from the event, and of course you got better ones than I did since you're twice as tall as I am haha. Thanks for the mention! Hopefully I'll see you around town at other events! Looks like so much fun Rick, great photos! Aren't Lisa and Nicole super sweet in person? Hope to run into you myself one of these days! Yes, they are. 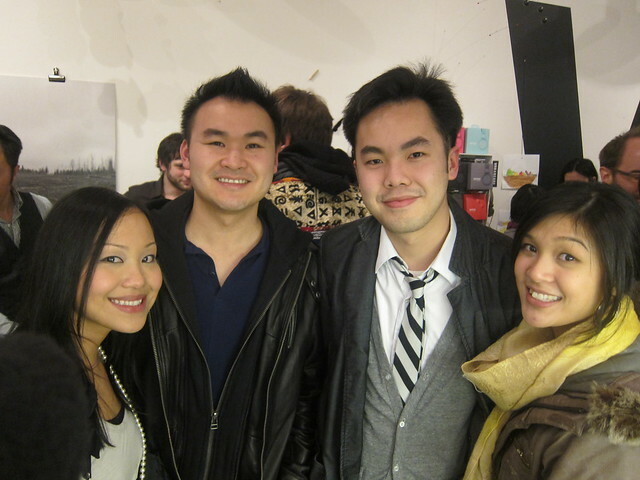 Now I need to meet you and I can say I've met the Vancouver fashion trifecta! Thanks, Nicole! No, you gals are definitely extraordinary! Lei, we're not an Asian-only food blog, or an Asian-only anything. We're all equal opportunists.